Clock. Time connects a past with the coming. | Writing-book spiral. | Bookmarks. As symbol of separation of the whole. | Pile of sheets. | Paper clip. | Symbol S. Symbol being formed of a repeating letter S or the connected letters S.
Montreal design and web development studio of Canadian designer Maxim Aginsky. 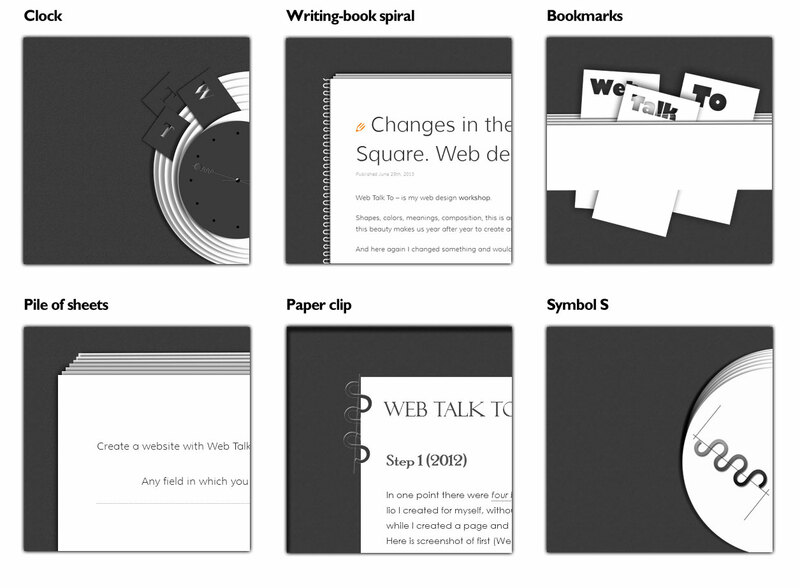 The third version of WebTalkTo site has different templates for all possible pages. 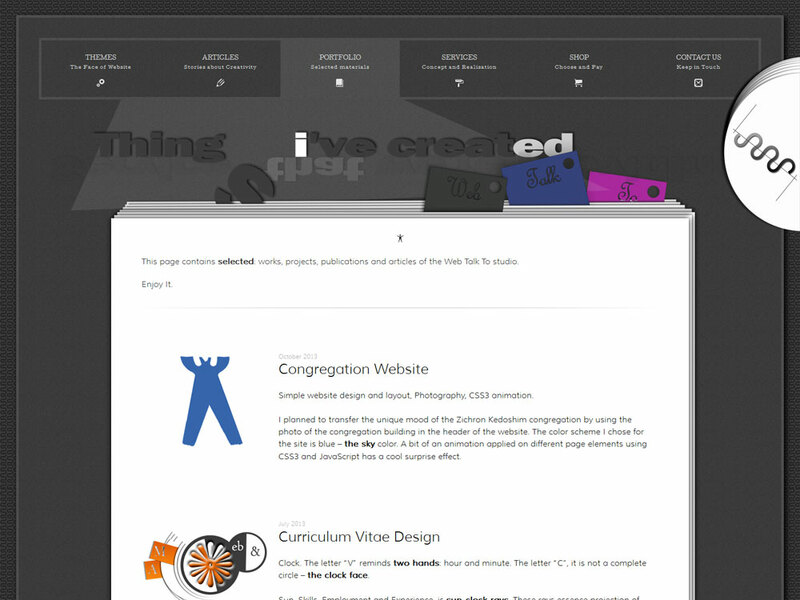 The main design idea discloses in combination of the navigation menu and image below it.